8 Puzzle Games That Are Great For Kids Article - Free Casual Games! Rate this Article Kids these days are more likely to be avid casual gamers than you, and they need to be challenged with new games each and every time. Here's a list to keep your puzzle-loving little ones busy. Puzzles are great for casual gamers and are easy enough to play, even for kids. If you’re looking for kid-friendly puzzle games, then check out this list of cute, fun and simple puzzles that will get your little one thinking while playing. This is a rather unique kind of puzzle where you need to move jelly monsters around platforms and objects to push the bad monsters out. If you eliminate all bad monsters before the timer runs out, you get a perfect score of three stars on that level. Mixed World Weekend is not your ordinary puzzle and your child is sure to enjoy its colorful characters. 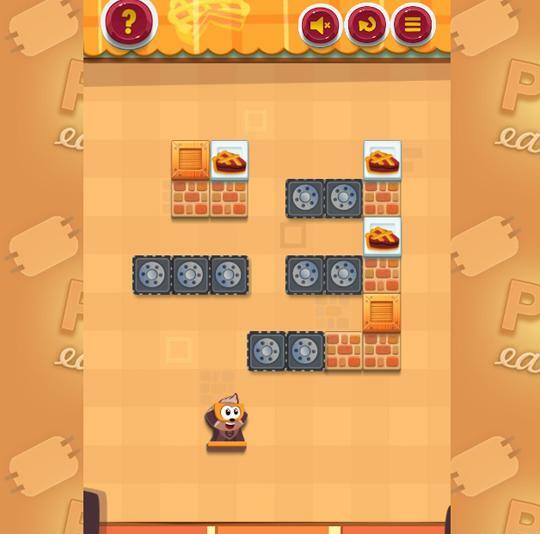 Pie Eater is similar to Mixed World Weekend, but in this game, you’ll need to push obstacles around rows of platforms to feed pies to your pet. Sounds simple enough? Well, it is in the beginning, but soon you’ll be very careful with your moves if you want your pet to get that pie. In Mango Mania, you need to guide a hungry creature and help him eat the mangoes while also collecting some gems along the way. This little hungry imp can bounce off a wall to jump long distances, and the more he bounces, the higher your score. The controls for jumping and bouncing off a wall is pretty much the same, so it's really easy for your young one to achieve this game's goals. Test your child’s hand-eye coordination with Point Adventure, a simple game where you need to rotate a circle with two dots on each side to avoid the said dots from hitting the falling bricks. You need to use the left and right arrow keys to rotate, and while you may think it’s child’s play, it may even prove challenging even to adults. Help a family of chipmunks gather acorn for the winter in Chip Family. This physics-based puzzle lets you place chipmunks on wooden blocks that form a structure. When you “activate” the chipmunks, they chip away the blocks, knocking down the structure and collecting those acorns! This game is great for showing kids how gravity works. Hexa Fever is great for older kids who like a bigger challenge. In an empty board with rows and columns of hexagons, you need to select and fill it with a set of hexagons shown on the bottom. Filling the board with a diagonal line of same-colored hexagons will clear the board and make room for more sets to fill in. Being a thinking game, your child must be patient and not easily frustrated. This game is great for teaching geometry, colors and patterns. Jelly Time is similar to Hexa Fever, although a bit more colorful and easier. The jellies need to be filled in a blank board, and placing jellies of the same color in a vertical or horizontal line earns you points. 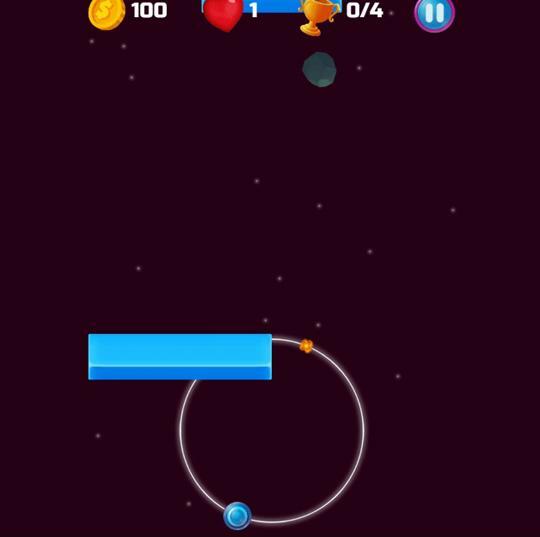 Each level has a number of points as your goal, and you don’t proceed to the next level unless you hit the goal. There are helpful boosters to either get rid of one jelly or an entire area if you run out of empty slots. Octopus Hugs is a unique and kid-friendly match-3 game. Matching three or more octopuses can be done horizontally, vertically and diagonally, or a combination of all three. With this game mechanic, there’s no limit as to which octopus you match, as long as they’re near each other. Boosters are also provided at the very start of the game. Kids will love the shiny and bright octopuses and the rainbow octopus that appears when making special matches. Whatever your child loves, there's a puzzle that's right for him/her. Not all games can be as rewarding or educational as puzzles, so it's one genre that can really do wonders for children. What's more, puzzle games are not just made for kids but for adults, too. Playing these puzzle games together will be twice as fun.